What Should the Insurance Industry Expect? Have you ever tried to check your insurance claim status? It often requires several calls, some emails, or even visiting an agent to get claim status details. Lack of web presence equals lower customer satisfaction. Today, nearly 61 percent of customers prefer to monitor their application status with digital tools. While some insurance carriers have made significant modifications courtesy of disruptive digitalization (we’ve already discussed this topic in our whitepaper), most companies trail behind. And the chasm between modern insurtech agencies and traditional ones is deepening. The disruption caused by Haven Life is a prime example. The company reduced time to process applications from what was usually 1-2 weeks to 20 minutes via their website’s online questionnaire. In 2016, insurers spent nearly $187.3 billion on IT, accounting for 25.7 percent of the whole of financial services spending. The total, nevertheless, is still quite low with legacy system complexity only slowing innovation. According to McKinsey, nine out of ten insurance companies identified legacy software and infrastructure as barriers for digitalization. As a result, the large industry – which in the US accounts for $1.2 trillion – needs to urgently change the ways of business development. It’s clear that the make-insurance-great-again mission heavily depends today on technology adoption. Internal processes of insurance companies are often too complicated.There are so many duplicating business operations that nearly 1 million insurance jobs in the US alone can be automated. McKinsey claimsthat automation and digitalization define the main potential of the industry. This means you can cut costs by about 40 percent by automating up to 30 percent of operations. Insurants are not satisfied with their service providers. The recent studies of Morgan Stanley and BCGclaim that insurance companies tend to provide poor customer experience. About 60 percent of insurance clients worldwide aren’t satisfied with their service providers and nearly 50 percent of insurance clients consider turning to newer models. Young prodigies prefer to join technology, consulting, or other financial companies rather than insurance.According to Accenture,only 2 percent of US university alumni plan to enter the industry. As a result, companies frequently don’t have enough technically-skilled employees to follow changes let alone drive them. These are the problems. How to approach them? Let’s discuss 7 opportunities that will lead the transformation from traditional insurance agency to innovative insurtech firm. Paperwork, manually written notifications, follow-ups, and underwriting are usually boring to do. Automation allows companies to reduce the cost that is spent on routine work and refocus some full-time employees to more creative tasks. A persuasive example of cost-cutting is the automation of payout calculation at Fukoku Mutual Life Insurance. The company replaced 34 employees by AI and now expects to boost productivity by 30 percent after complete system integration. It’s estimated that the firm will save about $1.25 million in the first year of AI use. The other side of the problem is inbound correspondence and documentation. Every day all financial institutions process and gather thousands of files in paper archives. That’s not the best way to store, process, and exchange information. It doesn’t contribute to saving the environment either. If files are digitalized, analyzed, and stored in a cloud, documents can be automatically reviewed and rejected in the case of inconsistent information or errors, which allows insurance staff to deal only with consistent and correct information. The customer data that has been collecting dust in paper archives for decades is no longer an expenditure item in a profit-and-loss statement. If you apply image and text recognition algorithms, these become valuable assets that tell an insightful story about your customers. Also AI insurance software reshapes claim processing. Ask yourself how long it takes for your agency to make claim decisions. There are lots of issues with a variety of scope: a broken finger, a big car accident, the fire in a luxury villa, or a significant agrarian claim from a large corporate client. Assume that their US land bank was affected by drought. There are thousands of acres across the country sown with crops. How long would it take for employees to gather and process all data required for payout decision-making? There’s a good way to cut costs for such projects by employing AI. 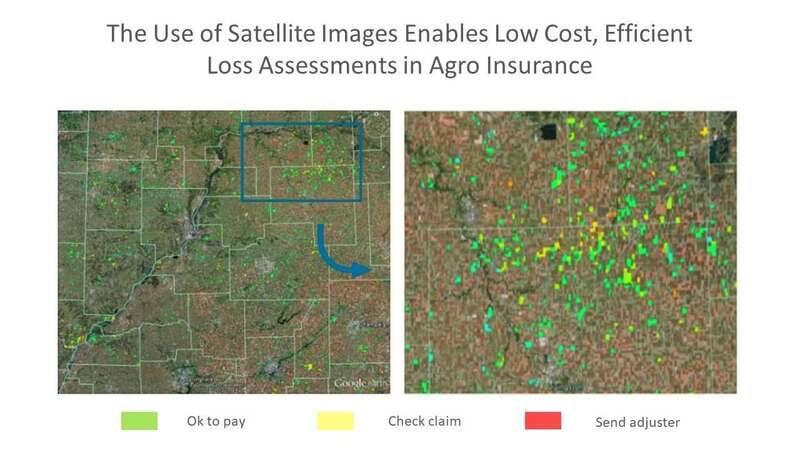 Machine learning algorithms can calculate detriment using satellite images or drones to explore fields. It will eliminate the human factor and significantly cut time and cost. Claim reporting is also changed by a combination of machine learning and mobile technologies. State Farm arms clients with a Pocket Agent app. A customer can send the vehicle image and the claim will be submitted without wasting time on dealing with paper documents or large web forms. Besides AI-driven automation, claims management gets impacted by a broader spectrum of software solutions. Claims management is a critical business process of any insurance company, which starts with claim registration and ends with payments to the insured party. Claims management software reduces manual workflow and a number of human-to-human interactions. Clients need less time to apply and smoothly proceed down the path of claim handling. From the insurance carrier’s point of view, the company reduces labor costs via automation. Here is an example of the modern industry standard. Assume an insurance company operating in the healthcare segment. Claim management software automates information exchange between insurance and healthcare provider systems. If the company deals with a number of small private practices – which still work with paper documents – the import is streamlined by image recognition algorithms that digitize the documents. The system calculates coverage and payment for each claim according to set policies. The system processes claims and sends them to a fraud detection module. Once the claims are approved, insurants receive their payments. The policy management software must be the integrated part of the system in order to provide business users with instruments to manage reconciliations, customize business logic, manage policy rights, etc. The software by SAP, Oracle, Patra Corp, GuideWire, Claim Kit, and Insly fulfills standardized needs in claim and policy management tools for the insurance industry. However, the forefront of innovations are insurtech startups and technology consulting companies which employ the power of AI, Blockchain, and IoT technologies. The old-fashioned style of risk assessment is to rely on impersonalized datasets. But today, endpoint devices and social media can provide large amounts of more personal data. The approach can help both insurers and customers – consumers get cheaper or better coverage and highly personalized services, while a business gets more accurate risk assessment, stable margins, and satisfied clients. 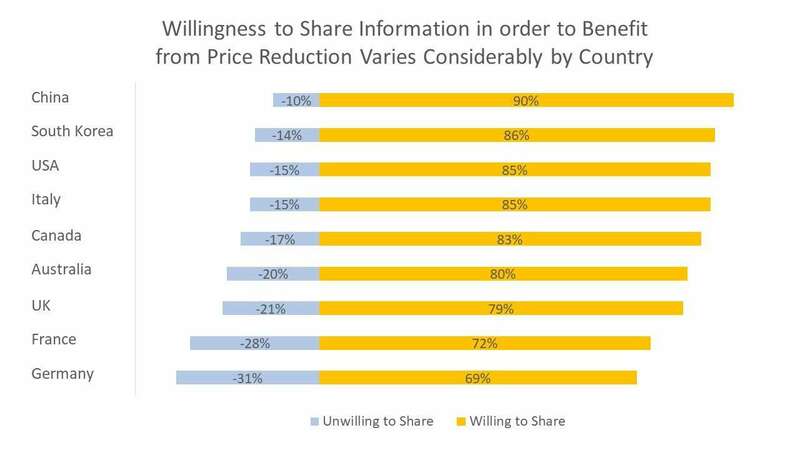 The recent Morgan Stanley and BCG study demonstrates that such a model is viable–customers are ready to share personal data to get cheaper risk coverage. An underwriter can consider a broad range of highly personalized records. Connected devices and wearables provide deep insights into the customer’s physical condition, like blood pressure, temperature, pulse. Now, the insurer can even explore the client’s lifestyle patterns, such as the number of steps per day, or how often and how long it takes someone to brush their teeth. Social media data from Facebook, Twitter, or other networks also could be useful. It discloses customer risk tolerance with the application of machine learning or other predictive analytics techniques. In addition, all this data is available in real time, which provides additional value for insurance companies. Beam is another relevant example. The company uses IoT technology to offer dental insurance. A smart toothbrush tracks how well customers take care of their teeth. Then the company provides a personalized insurance plan based on teeth-brushing data. The firm claims that it can offer up to 25 percent lower rates compared to competitors. Telematics insurance is a group of innovative car insurance products that work similar to black boxes. A telematics box gets installed into a car. The device includes a GPS system, motion sensors, a SIM card, and has analytics software. A telematic box tracks speed, location, time, crash accidents, driving distances, breaks, and other driving data. First, the system processes gathered information and transmits it via the mobile Internet to the insurance company for further analysis. Then the driving analytics are added to a customer personal account. There already successful use cases. A UK telecommunication company, O2, has launched a special car insurance product that supports the idea: the safer you drive, the better price you get. Driving habits are tracked by a special device and users can track their scores on a mobile app after each journey. The O2 app also assists customers by giving tips on improving their driving and mitigating risks. Peer-to-Peer (P2P) insurance is one of the most disruptive business models which is rapidly gaining its popularity due to an available technology basis. The model entails that the network of people agree to cover similar risks by creating a single finance pool consisting of their premium shares. The P2P model doesn’t require traditional intermediaries – insurance companies. At the end of each coverage period, available money is refunded. This way, customers minimize their costs and mitigate claim conflicts. However, the model has several drawbacks such as fraud sensitivity, ethical aspects, difficulties in achieving consensus, and the lack of trust between peers. Insurance distribution. For instance, Friendsurance is a startup that connects small groups of people (10-16 insurants) via a mobile app. If an insured event occurs, an insurant reports a claim via Friendsurance and gets coverage. As soon as a contract expires, customers gets pre-agreed cashback from the funds available in the pool. Friendsurance is focused on small risks related to property (e.g. a broken window in a house). Insurance Carrier. A good example of P2P insurance carrier is Besurance. The company is an Insuretech risk-sharing platform that groups insurants by their risk similarities. The process is handled with actuarial software which provides respective groups with a proper quotation. Claims are assessed and approved by community members. Self-Governance. An example of self-governing insuretech organization is Teambrella. Teambreala offers a blockchain-based insurance platform. It’s a regular P2P network, but powered by blockchain. For claim and policy management, the company uses Ethereum smart contracts. They allow for transparency and self-regulation. Participants discuss each claim and vote to meet consensus on claim coverage. If the claim is approved, each participant shares a part of their premium with a damaged peer. Blockchain implementation is a $5-10 billion cost-saving opportunity for reinsurers worldwide, according to PWC. The nature of reinsurance is close to chain structure. No wonder it is recognized as the second largest distributed ledger use case in fintech after payments. The major benefits for stakeholders are reduction of verification and validation time, elimination of errors and minimization of reputational risks. By using blockchain, a reinsurer won’t have to interact with the insurer to get data provided by client. For instance, you need to verify several insured events for one health risk reinsurance contract. If all parties are connected by smart contracts, the reinsurer will be able to get direct access to an insurant’s health data. Another sound idea is the prevention of reinsurer’s loss access. The key problem here is the loss variability at different stages of claim handling due to complex documentation processing. Blockchain solves the issue by recording the loss estimates history for each contract. It enables better liability tracking and difference solving. Each year insurance agents spend thousands of hours supporting customers in the decision-making process, providing standard on-demand information or reports. Chatbots, reporting tools, mobile technologies, and voice recognition algorithms can easily automate these tedious operations. 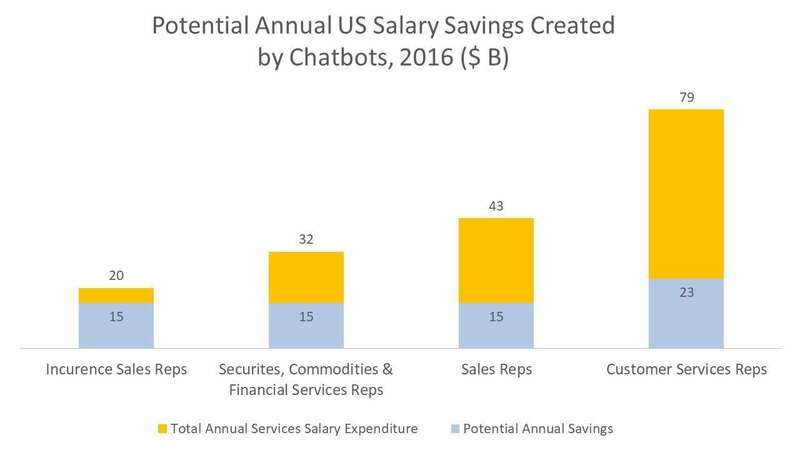 Chatbots can perform as effectively as a large customer care center and drastically cut costs in customer support and sales. Some US insurance carriers are already armed with such technologies. In Canada, Ontario-based Excalibur Insurance has employed AI bots to automate their client interaction. Not only is the insurer available 24/7 via a website or Facebook, but the system also engages new clients, deals with claim reports, and service requests. It’s a good alternative to phone calls as 70 percent of callers hang up while waiting for customer care to respond. Also, smart systems can send renewal notifications, assign tasks to agents, and build warm relationships by sending friendly greetings and special offerings to clients keeping them engaged. Over-regulation, old-fashioned business models, and the lack of technology talent slow down industry innovation, which is harmful to customer experience. Customers demand flexible and innovative experience. According to IBM, 41 percent of insurants abandon their carrier for a new one because the provider doesn’t want to adjust services for customer needs. The use of insurance APIs (application programming interfaces) addresses this lack of insurer flexibility as they can share information and services with third parties. Companies get an opportunity to suggest better customer experience, create new digital products, increase sales, and try disruptive business models. For instance, an insurance company with own API can enter the online travel insurance market and boost sales through the partnership with OTAs (online travel agencies such as Booking.com or Travelocity) by cross-selling services to travelers directly from the partners’ website. On top of that, third-party APIs are used by insurance companies checking customer data to prevent abuse and fraud. AXA Insurance. In 2017, AXA Insurance launched its own API, which helps the company utilize Insurance-as-a-Service strategy pioneering in the Asia region. AXA API easily integrates with eCommerce websites and applications. The technology provides real-time access to insurance services, including quotation, policy management, and insurance offerings in home, travel, and car segments. The carrier plans to introduce their API the health and life insurance segments in the near future. The Lemonade Public API. The Lemonade Public API is an API developed by a property insurance company Lemonade. The API allows for integration with the variety of digital products (iOS/Android apps and Websites). Lemonade Public API provides a developer with products, quotation, policy creation, and payment functions. The API also suggests a customizable chatbot interface. NAIC Registry. NAIC Registry is a public insurance API which automates standard reporting progress with the regulator, allows for extracting and storing data in Online Fraud Reporting System. Fraud is a great calamity of the insurance industry. According to Coalition Against Insurance Fraud, US carriers lose at least $80 billion annually. On average, it accounts for 5-10 percent of claims costs for North American insurance companies. Cloud and mobile technologies can support insurance agents with real-time information to deal with duplicate claims, inflated claims, fake diagnoses, fake dependent family members, mutually exclusive diagnoses, insurant data inconsistency, overpayments, and internal employee scams. For example, a client claims payout for a lost right eye twice or tries to recover from the same property fire by counterfeit documents with a changed date. 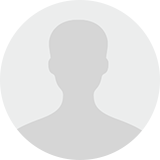 The system will compare the claim data with the database and identify the fraud. This will reduce cost by increasing operational speed, delivering higher accuracy, and removing the influence of an interested party. For instance, Shift Technology offers an end-to-end insurance s ones to fraud analysts. The Shift Technology solution goes beyond traditional claim scoring based on probability analysis. Additionally, it provides business users with actionable analytics indicating why the claim looks suspicious. Its SaaS delivery model enables low implementation cost and easy connection to existing operations. According to Shift Technology, their software tool demonstrates 250 percent better fraud identification rate than the market average. Long gone are the days when clients had to call or visit the insurance agent to get a policy. The web made people more aware of offerings on the market and today anybody can easily compare products, review testimonials, or find special plans that match personal requirements. Insurance shopping platforms like Insurify, CoverHound, and Friendsurance are actively redefining distribution models. While clients can get more specific about what they are looking for, service providers gain more visibility if they comply with demand. These marketplaces help insurers cut distribution cost and, at the same time, bring in even more well-targeted leads. Digital technologies bring several disruptive trends to the insurance business such as personalization, the shift to a platform economy, automation, and real time-based estimates rather than historical ones. What are the features with the most impact? Cost cutting. A digital insurer gets strong competitive advantages over the traditional carriers. According to BCG, the disruptive technology change allows for cutting up to 10 percent in premium costs and 8 percent in claims expenses. The turn to the web platform ecosystem allows for cutting distribution cost and reaching better communication with customers by social media, emails, mobile apps, etc. More accurate risk assessment. The digital business model enables better risk assessment and sometimes even aids in preventing insured events when it comes to driving assistance or health and lifestyle monitoring. Better customer experience. The use of mobile apps and social networks integration enables better understanding of a customer and ensures 24/7 availability. Move from reactive to proactive decision-making. Insurance is a data-driven business that ought to consider numerous factors about customers and strongly rely on statistics. However, the industry still leverages historical rather than real-time data. Various wearables and sensors are yet to reach their potential of data streaming and hyper-personalization. Expanding portfolio. The wide range of data records allows insurance carriers to cover very specific risks and work with new micro-segments. It also reconsiders the nature of incurrence products (e.g. bring them to a pay-per-use basis). Insurers become more insulated from scams.APIs and mobile shorten the time it takes for fraud detection and makes the assessment process more rigorous. The industry has a strong demand for technology talents and needs support or partnership in the innovative process. Mobile and ubiquitous automation have already become the reality of insurance. Here are the points to consider about enterprise mobility that we covered before. Insurance apps and agent management software makes claim handling and communication easier and smoothly for digital savvy clients. AI, IoT, Blockchain, API, wearables, and Telematics are emerging technology trends of the near future that should be taken into account to stay ahead of the competition. New technology allows insurance carriers to build better customer experience and boost operational efficiency. Wearables and Telematics track customer behavior, enable risk prevention, and open the path to new business models. AI insurance solutions allow companies to offer personalized quotations for customers, integrate robo-advisors, and improve fraud detection. Blockchain helps improve workflow governance and ensure transparency. Insurance APIs simplify information interchange, boost product distribution via online channels, and eventually let insurers suggest more versatile products. The insurance industry is on its way to digital transformation. Customers demand changes and innovative products, this factor is a strong reason for them to change a carrier in 2018. Insurtechs, digitized insurance companies, and tech giants will crowd out laggards from the market. Thanks, Vikky! We think you will enjoy our article about AI in insurance as well! If Robo Advisors is an idea designed to replace Insurance Agents it will fail miserably. There always has to be a human element involved if “Humans” are making decisions. I know Insurance Companies wish it was the year 2035, where humanoid robots serve humanity, but it’s not. You need Humans for advising, get that through your heads. Hi Patrick! We’ve actually written a whole Reality Check on whether robots can and should replace us, so you might want to take a look 🙂 – https://www.altexsoft.com/blog/business/reality-check-robots-are-here-to-automate-your-job-or-not/. Thanks for this. The insurance industry, especially the property & casualty and the life insurance industries, have a lot to gain from the wave of automation that is occurring at present. 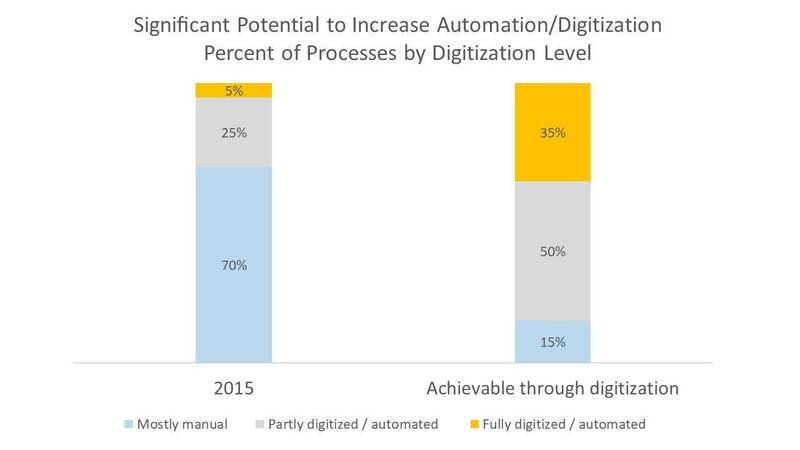 Robotics Process Automation or RPA can bring in many exciting changes in the industry. The time that typically goes into issuing new policies and handling policy endorsements can be drastically reduced, thereby improving customer experience in the process too. Thanks for complementing our point, Alistar! We couldn’t agree more.